Every couple needs to nurture their friendship while having fun and building great memories together. And that’s just what we did at our Victorian Valentine’s Dance on Saturday night! Our Christian couples found out that Victorian dancing is stylish, elegant, and simple to learn. We began the evening with Victorian Set Dances, taught by Mr. Fredric Judkins, Emmy-winning Supervising Sound Editor, Dance Instructor, and Lover of Victorian Music and Culture. Through Couples Dances, he showed us how to enjoy the dance, whatever your level of dancing skills. The Victorian dancing – such fun! It was low pressure, which made it easier to learn, and made it enjoyable. It gave us ways to connect to our partners. Dancing together as a couple. ANNOUNCEMENT: Plans are underway for another Victorian Sweetheart Dance in the spring, so be sure to like us on Facebook and follow us on Twitter for details! 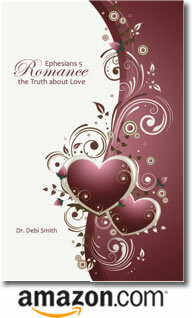 Posted by occhristiancounseling in classes, dating, Dr. Debi Smith, Events, understanding men. Last Saturday, we gathered with Christian couples for our pre-Valentine’s Dance Lessons at Newsong Church. As always, there was a lot of laughter as couples tried out their newly developing skills on the dance floor. And there were some really romantic moments, too, as they snuggled together during the final waltz of the day. And Fred was his wonderful self. Not long after I met him, I realized two qualities in every interaction he has with people. First, he makes others feel good about themselves. He shows a genuine interest in who they are and values his time with each and every person he meets. Second, he makes sure everyone has fun. And he’s really really really good at that. I have laughed more in the past 8 months than I have in the past 8 years! And it’s always good, clean fun. Never at the expense of anyone else. But there’s more. Although I’ve already become known as an “expert” on the psychology of men and relationships, Fred is teaching me more about both topics every day. It just flows naturally from who he is and from his faith in Jesus Christ. I love that about him. Huh? For years I’ve been telling women that they need to follow their guy – to match him. Now I ask you: How sweet is that? What a perfect way to play out Ephesians 5:21 … right in the middle of a dance lesson! Bottom line: Ladies, men think differently than we do, and the more I get to know them, the more I realize that it’s a pretty good kind of different. Most men are thoughtful and gentle – much more so than we typically give them credit for. Most look for opportunities to be a hero to the women in their lives, but we often miss it when they do something heroic, and that’s sad. So always be on the lookout for the good that men bring to your life! Thank you, Lord, for Fred. He’s the absolute best, and he’s my hero. NOTE: Some who’ve heard about our Victorian Valentine’s Dance may assume that we take the stance that the man is the leader … period. And that the woman should submit … period. That’s not what Scripture says, and as a psychologist I know it doesn’t work well that way in real life. If you’d like to know more, come join us in Irvine this Saturday. But buy your tickets online now because we only have room for two or three more couples. And if you don’t live nearby, you might want to check out Pastor Mike Erre’s sermon, posted on our website. Have you ever wondered how it would feel to have your own personal hero glide you around the dance floor? Come join us tomorrow (February 4th) at Newsong Church in Irvine and find out! Victorian dancing is stylish, elegant, and simple to learn. If you can count to two, you can polka. And if you can count to three, you can swirl to “The Blue Danube Waltz”!